Over the many years of my experience as a chiropractor, I’ve continued learning to expand the way I can help the people who come to me for help. We’ve consistently added more and more to the practice to make sure that we can stop pain for as many different people as possible, cater to as many needs as we can, and increase the likelihood that we can help a patient feel better. What we’ve found as a whole is that a multidisciplinary approach is better; people respond differently to different kinds of medicine, and as medical professionals, its our job to do whatever we can to improve quality of life for those in our care. I’m going to present a few of the techniques we employ at my office for pain relief that perhaps you haven’t heard of or maybe just didn’t know the name for it. Whatever the case, if you’re in pain, these are the kind of therapies that non-surgical specialists like myself and my staff at Living Well Medical in NYC use, so it can’t hurt to learn a little about your options if you’re in pain. The Graston Technique - This non-surgical technique uses stainless steel tools to both diagnose and treat abnormalities and fibrous adhesions in the muscles and tendons. There are six different tools, each designed for a specific area of the body, that when applied expertly, can eliminate what you might call “knots” in your muscle fibers. This therapy is often combined with other techniques to treat musculoskeletal disorders and pain. Patients with lower back pain, shoulder pain, arm pain and leg pain may find relief with this treatment method. Active Release Technique - ART (as it is alternatively known) is another soft tissue technique that can be very helpful for patients suffering from repeat strain injuries, athletic injuries and muscular problems. Considered a movement-based massage technique, it has been used in professional athletic settings and clinical settings for years, specifically effective in treatment of overuse injuries. Patients may benefit from improved circulation, range of motion and, sometimes, flexiblity. Spinal Decompression Therapy with DRX 9000 - Developed as a non-surgical alternative for the treatment of herniated spinal discs, spinal decompression is relatively new technique with an excellent track record. 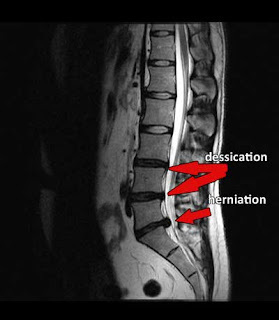 We have been using this technique at Living Well Medical to treat our herniated disc patients for years to great effect. This only a small sampling of the treatments and therapies we have available at our center. Acupuncture, massage therapy, pain management and, of course, chiropractic are just a few of the other ways we help people feel like themselves again. If you’re in pain, give us a call today at 212-645-8151. We can help you stop your pain.